If you are in search of a luxury condo in the heart of Las Vegas, there is nothing more fabulous and high end than that of City Center Las Vegas. Known for its incredible design, spacious condos, and high-end amenities, City Center Las Vegas provides everything a person needs to enjoy the very finest of lives in the heart of the Las Vegas Strip. City Center Las Vegas is a large, 16,767,000-square foot complex sprawling over 76 acres of land that features an urban vibe and a mixed-use design. An incredible property located near the Las Vegas Strip, it offers a broad range of amenities for those living in this region. The project began in December of 2009 by MGM Resorts International and added Dubai World onto the project a few years later. MGM Resorts International operates the location. The property connects to the Monte Carlo Las Vegas and the Bellagio Las Vegas. City Center Las Vegas has undergone some changes. At the heart of is the Aria, a 4,000 room resort casino that rises 60 stories over the Las Vegas Strip. This impressive building includes nightclubs, restaurants, a large showroom theater, several pools, and a spa. There is also a three-story lobby alongside the full casino. In short, you can live, work, and play here and never feel as though you are missing anything! A key component of City Center Las Vegas are the high-rise condos overlooking the Strip. The property offers a VDara Condo Hotel, The Residences at Mandarin Oriental, Las Vegas, and the Veer Tower. At The Residences Mandarin Oriental Las Vegas, individuals will walk into an entirely different world. The building spans 47 stories high and features a combination of impressive steel and glass that allows the natural landscape surrounding the space to stand out. While the exterior space is impressive, you’ll find the inside space is even more enticing. The interior finishes include several luxury collections including the Sovereign Jade, Imperial Orchid, Majestic Pearl, and others. Overall, this luxury high rise condo offers incredible views, private residential entrances, on-site management, LEED Gold certification, a community dog park, and an owners’ lounge. The Vdara is another of the Las Vegas High Rise buildings offering individuals the ability to be a part of City Center Las Vegas and the incredible space around it. The Vdara is a 57 story building with 1543 residences. There are several condo styles available here including standard and deluxe studios, one and two bedroom penthouses and several other designs. These properties range in size from 500 square feet up to 1750 square feet. Most of them offer outstanding amenities and features as well including top of the line furnishings, incredible views, and ample privacy. Another option is Veer Towers. This complex includes two glass towers that rise 37 floors. There are 355 condo residences located here. 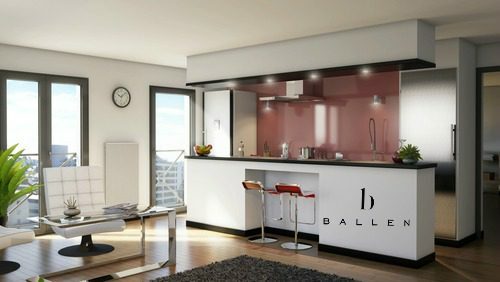 There are also several styles available including studios, one and two bedroom properties, and penthouses. The largest here are 3,400 square feet. As a high-end condo development in City Center Las Vegas, this is one of the most impressive for those who want a stunning view and the highest quality in amenities. A final option for those looking for Las Vegas High Rise options is the Harmon Hotel and Residences. This building is a massive, 40 story tower that is located right near the Strip. There are 21 floors of spacious condos with modern amenities and features found here for residential units. This area offers better access and convenience but remains very stylish and high end. MGM is the developer and owner of the City Center Las Vegas complex. The MGM Resorts International company is responsible for the development of the seven complexes and buildings that make up City Center Las Vegas. The company owns and operates a total of 15 properties throughout Nevada, Mississippi, and Michigan. The MGM Resorts International properties located in Las Vegas include the Bellagio, Circus Circus Las Vegas, and City Center (owned alongside Dubai World). Other properties include Excalibur, Luxor, Mandalay Bay, MGM Grand Las Vegas, The Mirage, Monte Carlo, New York-New York, and T-Mobile Arena (owned with a split with AEG). Ready to find your home in City Center Las Vegas? 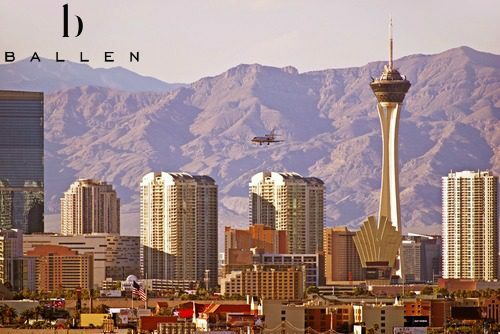 Give Ballen Vegas a call today at 800-805-8354 to tour available homes for sale.